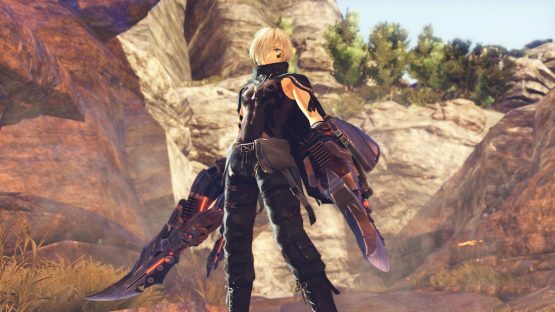 Today, Bandai Namco has released some brand new information about the upcoming God Eater 3 in order to celebrate the release of the first batch of gameplay screenshots released earlier this week. The new information provides a clearer picture on the protagonist of the game (he appears to be a new character), some of the new fields found in it (they’re much more detailed), and information on the new Aragami, which are the monsters found within the game. Aragami graphics and motions have significantly evolved from previous titles. Aragami will become an even greater threat that attack the player. First details on the new Aragami, which was only shown as a silhouette in previous trailers, have been revealed. Its massive appearance will overwhelm the player. The new Aragami will launch devour attacks against God Arc users. This God Arc user-devouring Aragami will change forms from quadrupedal traversal to bipedal traversal in order to launch even more brutal attacks. And it will not stop at simply damaging the devoured player. When the new Aragami’s form changes, its attack motions will also change in a big way. It is crucial that the player fights with different strategies during both its quadrupedal traversal to bipedal traversal phases. There is currently no release date set for God Eater 3 as of now, but we will keep you updated when we learn more. What did you think of the new Aragami confirmed to appear in God Eater 3? Let us know in the comments below if you’re looking forward to taking on these monstrous foes.